This book invites you to reflect upon the questions the stories of Krishna raises, and to consider their relevance for us today. The book is organized around two central and devotional texts, the Bhagavad Gita and the Bhagavata Purana, and the contributions of some Hindus in Newcastle upon Tyne, England, who are devotees of Krishna. 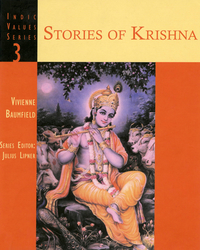 It is called Stories of Krishna because any attempt to present one "essential" story of Krishna would be misguided as it is through exploring the diversity of Krishna stories and their apparent contradiction that understanding of the significance of Krishna grows. The author hopes that the reader will formulate what Krishna means to the reader as the book is read, and questions raised.